The Electronic Medical Records (EMR) Software solution companies that ought to be innovative are flooding the healthcare industry, but these companies often become a problem for the physicians instead of solving their problems and easing their tasks. A CNBC report recently revealed how engineers, developers, and entrepreneurs need to sit with physicians to have a better insight into the type of issues they want to solve. The report took Epic EHR software as an example and told us how Epic sent engineers to open-heart surgeries in order to illustrate standard medical software developers should work towards. 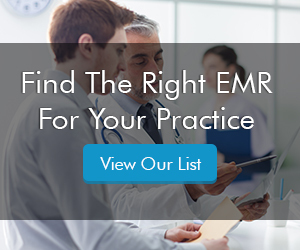 Most of the EMR vendors don’t have that any sort of connection to the practitioner. That is why it will be true to say that the vendors are somehow unable to understand the needs of the physicians. It is true that EMR software provides a great deal of help to the physicians but some degree of vendor-practitioner connection might improve the software even more. Acknowledging this issue, the American Medical Association (AMA) recently joined hands with technology developers and doctors to develop the Digital Health Implementation Book, which helps clinicians better implement healthcare technology in their practices and further proposes what EMR vendors can do to make their software solutions more useful, user-friendly and easily accessible. The healthcare practice vary on the basis of their specialties, and one part of software can be used in multiple different ways depending on the provider, the software developers need to be responsive to requests for information and customer support. Furthermore, American Medical Association suggests that software developers need to listen to the feedback of the physicians and focus more on hearing how clinicians actually use their EMR software so that they can continuously improve their solutions with consistent updates. Physicians trying to deal with technology frustrations was hardly a new phenomenon for 2018. Burnout is a major problem that many software developers and healthcare systems are exercising a tremendous amount of time and effort to fix. Just like this, other members of the healthcare industry are having a look at how response taking and feedback-gathering can lead to better care and better satisfaction for patients. It follows, then, that this is a technique that works backward for developers. Spending more time with actual physicians and watching them at work will help EMR software vendors make better products that will fit into a physician workflow and improve the efficiency of their practice.